Make sure the Save option is checked. Select the New Version option. In the New Version field, enter a relevant name for the new version of your scene. In the Description field, if you want, you can enter a short description of the current version. If you want the new version to be marked as the current scene version, make sure the Mark as Current option is checked. 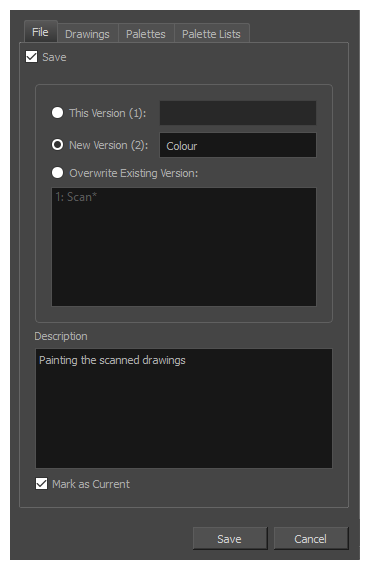 This will make the version you are creating the default version of the scene, when opening it.